LONDON, England -- Russia demanded on Friday that Ukraine should pay $325 million now while awaiting the outcome of a legal dispute over $3 billion lent by Moscow to Kiev in 2013. Russia requested the condition in a hearing in a London court, saying the sum represented the interest it would have received by now if it had participated in a 2015 restructuring of Ukrainian debt. Judge William Blair deferred his ruling, which will also include a decision on the rate of interest and the legal costs to be paid by Ukraine. The $3 billion was lent in the form of a Eurobond governed by English law. The loan was made in December 2013, weeks before pro-Moscow Ukrainian president Viktor Yanukovich was ousted in a popular uprising. Moscow wants the bond to be repaid in full but Ukraine, which now has a pro-Western government, is challenging this on several grounds. Among other things, it argues that non-payment is a countermeasure against Russian interference with Ukrainian sovereignty - a reference to the 2014 annexation of Crimea. After considering these arguments, Judge Blair ruled in March that Ukraine had failed to offer a court-ready defence for not paying back the $3 billion, and declined to forward the case to a full trial. However, Ukraine won a temporary reprieve when it was granted permission to appeal. 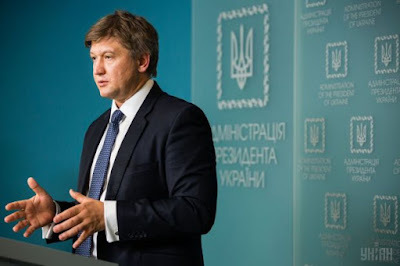 Finance Minister Oleksandr Danylyuk has said the appeal will be lodged in June. The appeal hearing is expected in early 2018. In their written argument for the $325 million interim payment, Russia's lawyers wrote: "The mere fact that a party may have reasonable prospects of overturning a decision does not mean that the party is not obliged to comply with the court's orders prior to that appeal being determined... It cannot have its cake and eat it." But Ukraine argues that such a payment would put it in breach of the "most favoured creditor clause" in the new bonds issued during the restructuring and would entitle holders of those securities to call a default. "It is throwing Ukraine into uncertainty," said Bankim Thanki, a lawyer acting for Ukraine's government. That could open the door for vulture funds and further litigation, he added. Furthermore, Ukraine's economic position was weak, Thanki noted. It would struggle to make budget cuts to the tune of $3 billion, while tapping its hard currency reserves would see it breach the benchmarks set by the International Monetary Fund as part of its bailout, he added. The dispute in London courts is just one of the many legal battles Kiev and Moscow are fighting out in court rooms around the globe. Russian gas monopoly Gazprom said in April it expected an arbitration court in Stockholm to rule on June 30 in a dispute over its $37 billion claim against Ukraine's Naftogaz for what it says were debts accumulated since 2012. Naftogaz, in its turn, claims it has overpaid for Russian gas and is seeking more than $14.2 billion from Gazprom.